Pine wreaths are associated with Christmas, heart-shaped wreath with Valentine’s Day but succulent wreaths can be unique decorative accessories any time of year. Ready-made living wreaths can be quite expensive, but if you already have succulents that need trimming, the cost can be greatly reduced. 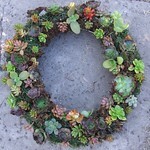 A succulent wreath approximately 12 inches in diameter will take about 100 succulent cuttings. Because the cuttings should “heal” on the cut end before they are used, do your trimming a day or two before you construct the wreath. Forms stuffed with sphagnum moss can be purchased, you can buy a wire form and stuff it yourself or you can use heavy wire to make your own form. I made my wreath by first bending heavy wire into the shape of a circle. To make the wreath shape, I used a material called floral netting that comes in 12 inch by 48 inch sheets. It looks like green chicken wire with smaller openings. After the floral netting was flattened, I lined the middle area with sphagnum moss. The moss should be soaked in water first to make it easier to work with. Next, I spread some lightweight cactus potting mix over the moss. I put more moss on top, and then rolled the netting into a tube shape. The tube was then shaped around the wire form. To secure the tube to the form, I wrapped it with green floral wire. When it was done, it resembled a green shaggy doughnut. After that, it was time to insert the cuttings. A chopstick or a pencil can be used to make holes for the stems. Cuttings with short stems were secured with floral wire. I used an assortment of different colored succulents, including gray ghost plant, red tinged pork and beans, lime green Sedum makinoi and assorted echeverias and aeoniums. You may prefer to use all one kind of plant. Once the plants were inserted into the wreath from it was left to sit horizontally to give the roots a chance to grow. If it had been hung too soon some plants would probably fall out. If you are making a wreath as a centerpiece to place on a table with candles in the center, you are done! My wreath will hang on the garden gate, which is possible in a mild climate. A living wreath is best watered by unhooking it from the wall and setting it in a pan of water for a short time when it is dry. If you don’t have a large pan, you can water it with a narrow necked watering can. 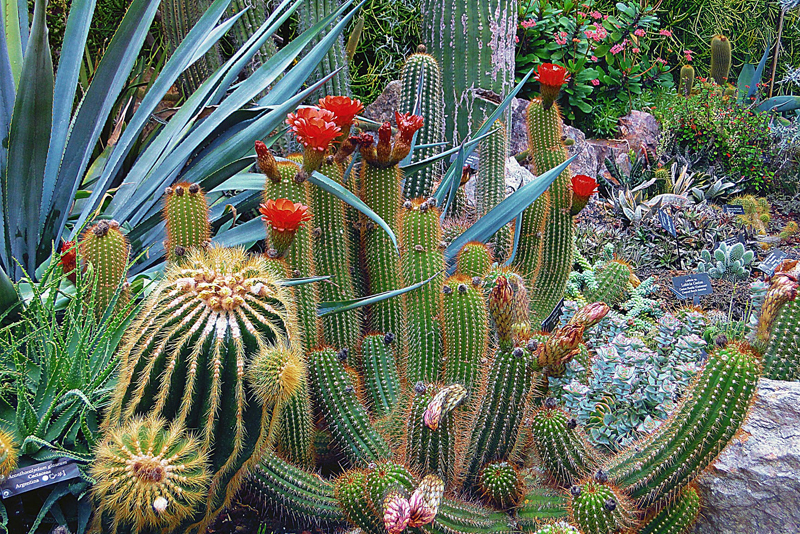 Remember, more plants are killed by overwatering than underwatering.